Check us out on MySpace by clicking here!!! 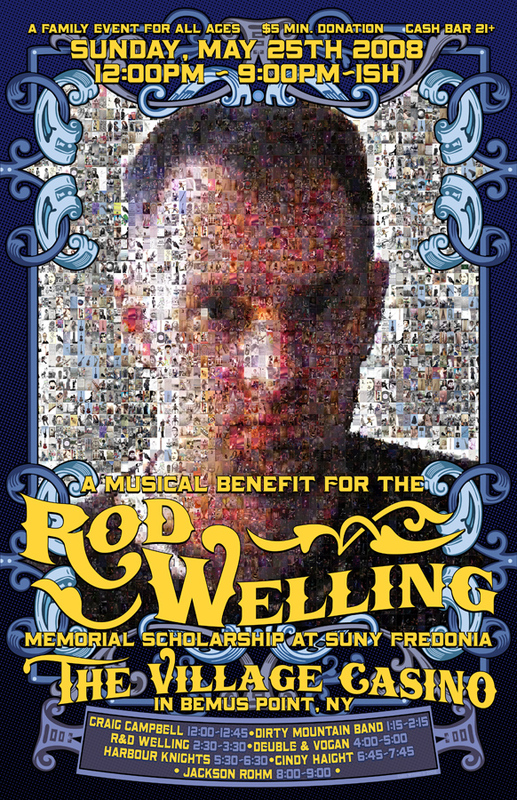 Help us remember a Musician, Friend, Brother, Son and Artist while raising money to support a scholarship in his honor! Our next concert is being set up, so check out the site and mark the date to attend one of the best shows of the year. The song link below is a song Rod wrote about Kevin Swanson, who was a good friend of ours who passed away about two years before Rod. I felt it was appropriate for this site as well. Go head and listen to it. We're getting ready start putting together next years show, so keep your calanders open for 5/25/08 which is the Sunday of Memorial Day weekend . If you're interested in helping out, please drop me a line and let me know what you would like to do. We're looking at a great show already, so don't miss it!! Family affair event! Cash bar for 21yrs old+. Many Musicians scheduled to play and raffles all day. 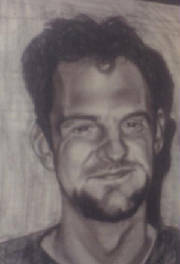 The above picture of Rod is a photo of a self portrait he did with charcoal.